Load shedding makes a return, Vytjie Mentor to be cross-examined at state capture inquiry, Eskom CFO speaks on Eskom’s finances and more. Load shedding returned on Sunday after Eskom said it was suffering from a capacity shortage. The utility said it had to cut 2 000 megawatts from its grid between 1 pm and 10 pm on Sunday, and that it is replenishing and preserving emergency water and diesel to avoid the risk of further outages. Woolworths announced the resignation of two independent non-executive directors with immediate effect on Monday. Kelly Gail served as a member of the Nomination, Remuneration, Sustainability and Risk Compliance committee and Patrick Allaway served as a member of the Audit, Treasury, Remuneration and Risk and Compliance committee. The board expects to make announcements in due course. Former ANC MP, Vytjie Mentor will be the first to have her testimony cross-examined at the state capture inquiry on Monday. 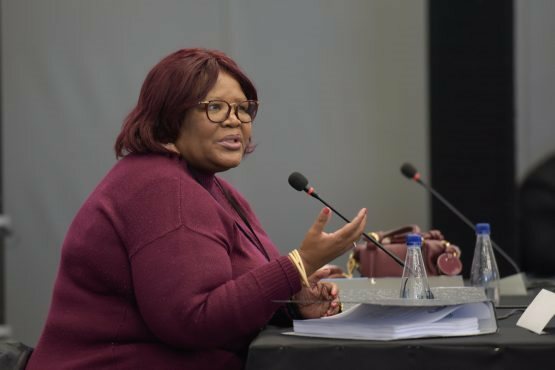 Mentor took to the stand late last year, where she said that the Gupta family offered her the position of public enterprises minister, and that Duduzane Zuma allegedly introduced her to the Gupta brothers and businessman Fana Hlongwane. She later said, once seeing a photograph of Hlongwane, that this was not the person she was introduced to. EWN is reporting that the commission is seeking more credibility for the evidence Mentor produced and have granted both Zuma and Hlongwane permission to question her. Back to Eskom’s woes, which never seem to come to an end. The chief financial officer of Eskom, Calib Cassim spoke of Eskom’s financials in which he highlighted that the utility’s municipal debt is growing by R450 million a month, and added that the estimated losses were revised to R20 billion from R15 billion after it noticed that performance generation deteriorated significantly. He says the issue needed to be addressed through the use of more expensive options, such as open cycle gas turbines and increased maintenance procedures to balance supply and demand. The rand recovered on Friday in comparison to its emerging market peers. On Monday, the rand gained 0.03%, sitting at R13.63 to the dollar at 8:17 am.